Location: 7786 Sonora-Hardin Springs Rd. Sundays — Sun: 10 a.m. Though it was officially established in 1842, St. Ignatius in White Mills is among Kentucky’s oldest Catholic congregations. Father Charles Nerinckx, one of the first missionaries in Kentucky, made regular visits to a stagecoach stop called Harcourt. Here he celebrated Mass and provided religious education in private homes—usually primitive log cabins—initially twice a year and more frequently as time passed. Sylvester Boarman, an early settler, is credited with indefatigable labor in the construction of the area’s first church. With the relocation of Bethlehem Academy near St. John Church in 1830, Hardin County received its first resident pastor, Father Charles Cissell, who served several missions in the area, including the Harcourt settlement. Father Cissell and the other missionaries endured countless hardship riding horseback to reach the missions. Father Augustine Degauquier, pastor at Bethlehem Academy in 1839, spearheaded the design and construction of the first St. Ignatius Church adjacent to a cemetery that had been used by Catholics for many years. Completed and dedicated in 1842, the brick church cost $1,000 and measured 38 feet by 24 feet. From 1989 to 2016 the parish was served under the pastoral care of St. James Catholic Church in Elizabethtown. In June 2016, Archbishop Joseph E. Kurtz appointed Father Benedict Joseph Flaget Brown as the Administrator of the parish. On the second Sunday of Advent, December 4, 2016, Archbishop Kurtz formally installed Father Brown as Administrator and confirmed four of the parish members. 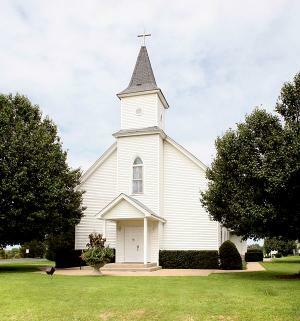 Parishioners continue to provide strong support and host an array of social activities, including potluck celebrations, hayrides, and community activities with the other churches located in the White Mills Community. The parish strives to serve their rural community and witness the Catholic faith through outreach ministries. St. Ignatius maintains a close family atmosphere that nurtures spiritual growth and seeks ways to hand these gifts on to the next generation.